We are so blessed to have our Parish in the same parking lot as our school. All classes (including Little Lambs and Pre-K) attend morning mass during school hours every Wednesday from 8:30am – 9:30am. 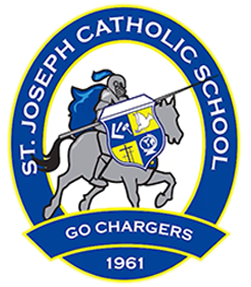 If you do not have a child that is attending SJCS, or you are not registered with our Parish and wish to join our wonderful community please take a few minutes to fill out our online REGISTRATION FORM. To help those searching for a deeper understanding of their faith, St. Joseph provides programs throughout the year, which include bible study, topical class presentations, liturgical and seasonal group presentations, retreats and prayer services. To see a list of our offerings, please see our current bulletin. Welcome to St. Joseph Parish. We look forward to seeing you!